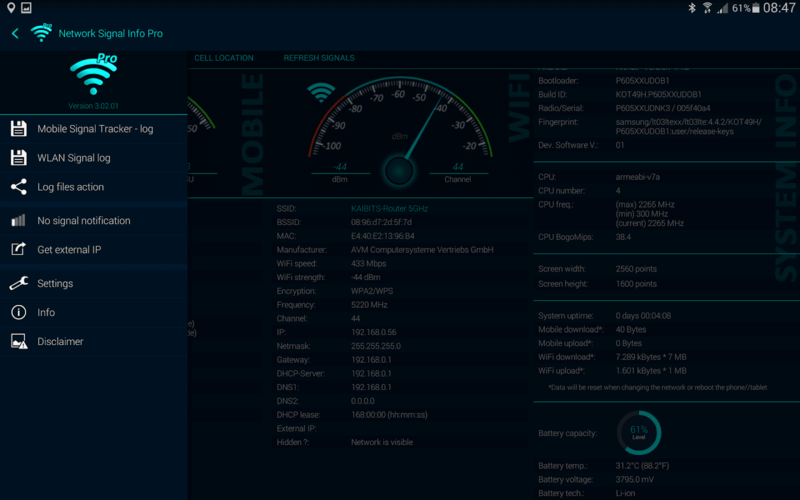 Network Signal Info Pro provides detailed information on your currently used network, regardless whether you are using WLAN or a cellular connection. Do you know ? 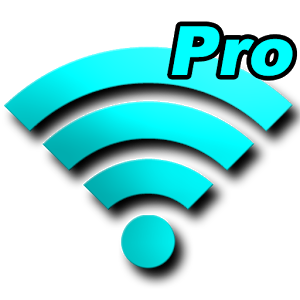 Network Signal Info / Pro are UNIQUEThis type of software is ONLY available on Android smartphones - neither iOS nor Window Phones. The Pro version (compared to the free version) has no ads, a NEW cell tower database with more than 22 million entries, a NEW MOBILE SIGNAL TRACKER function that generates a KML file for use with Google Earth, more widgets, a MOBILE SIGNAL LOST SERVICE and much more. This y app differentiates the signal strength into a total of 14 bars. This will give you a quick visualized and detailed information on your signal strength. WLAN-Name (SSID), BSSID, MAC address, maximum WLAN speed, IP address, external IP address, net capability, net channel, subnet mask, Gateway IP address, DHCP server address, DNS1 and DNS2 address.